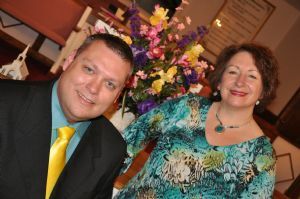 Even though Grace Revealed has only been together a short time, they have seen several salvations through their ministry, as well as many coming to the altars for prayer. They are so thankful as to how God is using them to be a blessing. Their focus is ministering to hearts, not just singing a good song! They are thankful to report they are already getting re-booked in several churches. We enjoyed your concert so much-please return at our next 5th Sunday sing!